Includes: a one-piece dress with blue top attached red cape and metallic red skirt. Does not include shoes or bootcovers. 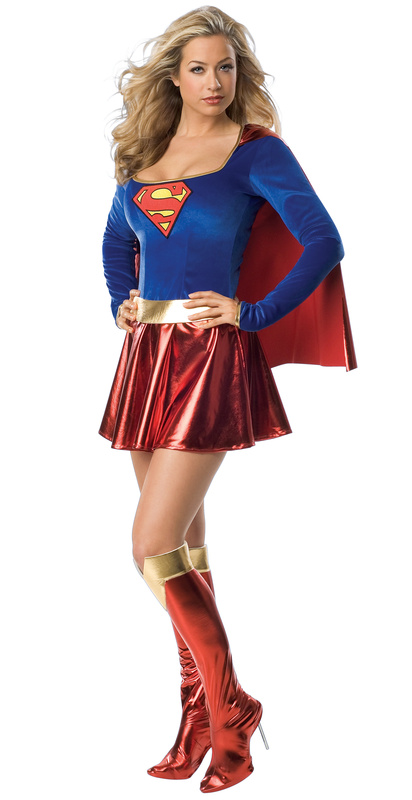 This is an officially licensed Supergirl™ costume. TM and © DC Comics.